WABA will work to extend this rail-trail southward from its current terminus in Glenn Dale, Md., through Maryland’s suburbs into D.C. and connect it to the area’s existing trail network. WABA & BikeMaryland release an economic analysis and preliminary route by Jeff Lemieux and Nolan O’Toole – here. WABA’s advocacy is supported by your membership dollars. 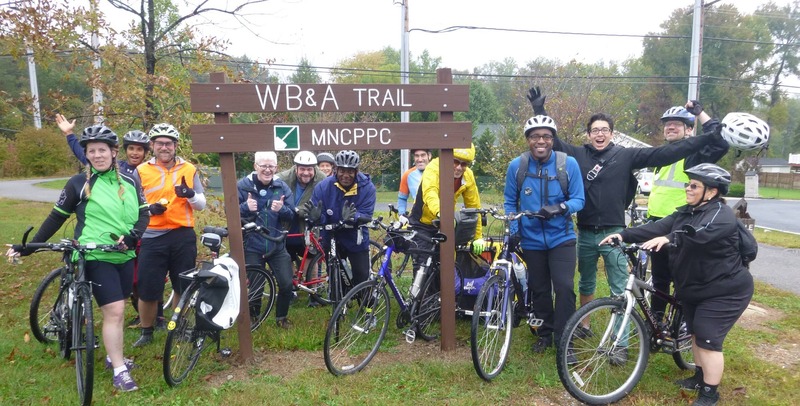 Join or donate to WABA today to help advance our advocacy work, including pushing for the extension of the WB&A Trail.